You are here: Home / Knowledge Base / Knowledge Base / Heartbleed Bug related to OpenSSL – how to tackle it? 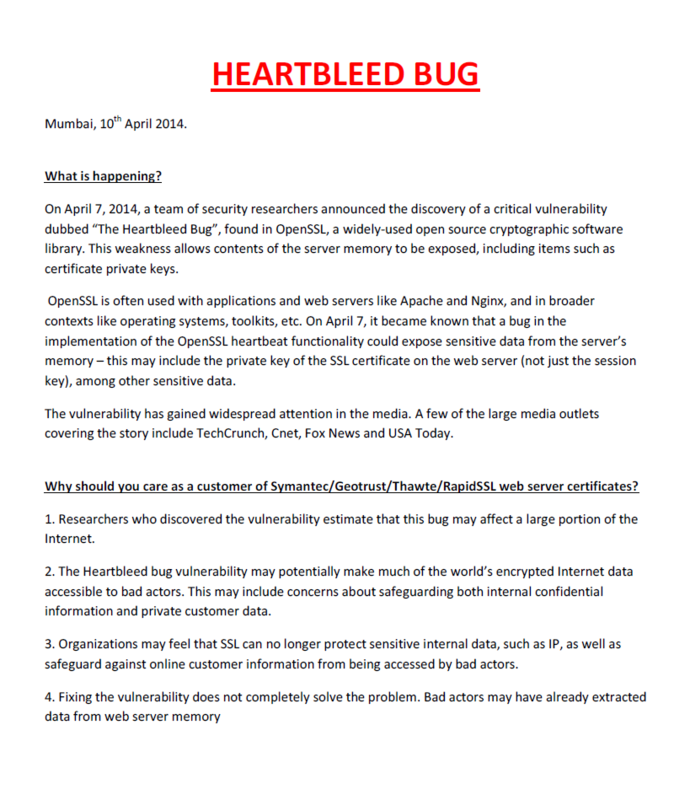 Heartbleed Bug related to OpenSSL – how to tackle it? https://www.comprompt.co.in/wp-content/uploads/2017/04/comprompt-logo.png 0 0 Web Technology Comprompt https://www.comprompt.co.in/wp-content/uploads/2017/04/comprompt-logo.png Web Technology Comprompt2014-04-12 05:24:172017-01-20 12:43:48Heartbleed Bug related to OpenSSL - how to tackle it?